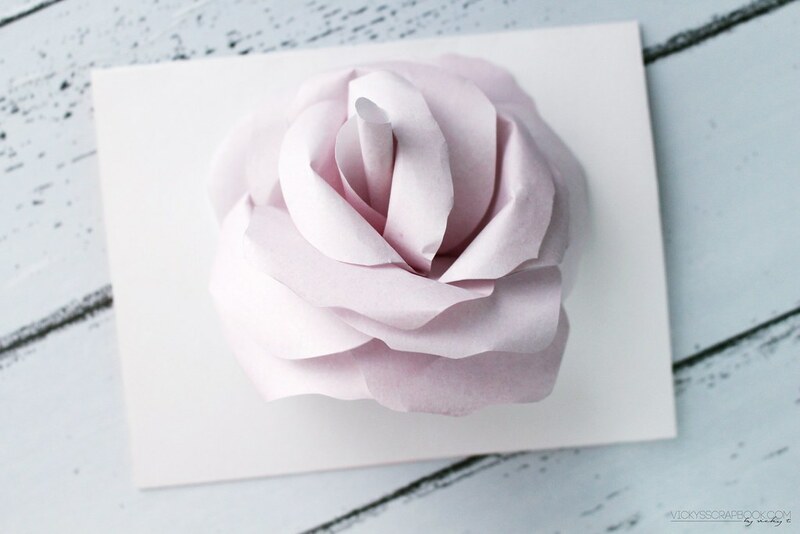 I’ve been very inspired by those large paper flower decors and the Lancome La Rose Blush that I’ve been seeing. 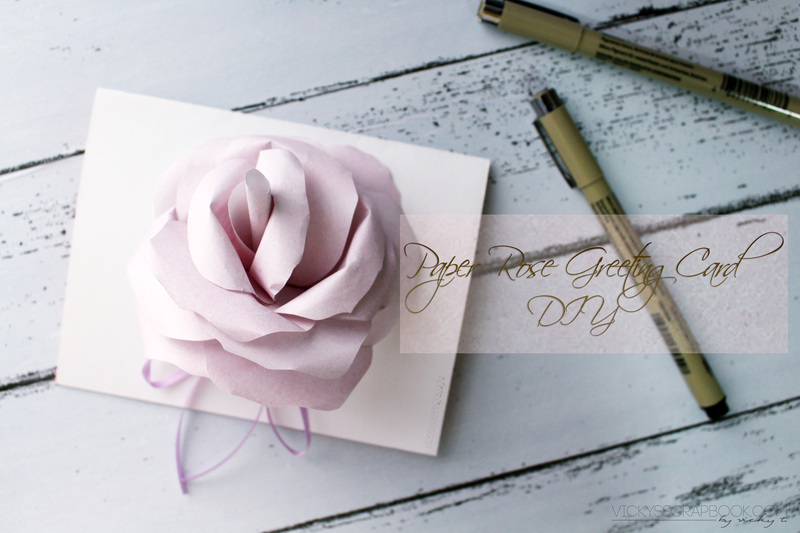 So I tried making a smaller paper rose for decorating my greeting cards. Since Mother’s Day is coming up soon, I feel that this would make a very pretty Mother’s Day card or any special occasion greeting card. 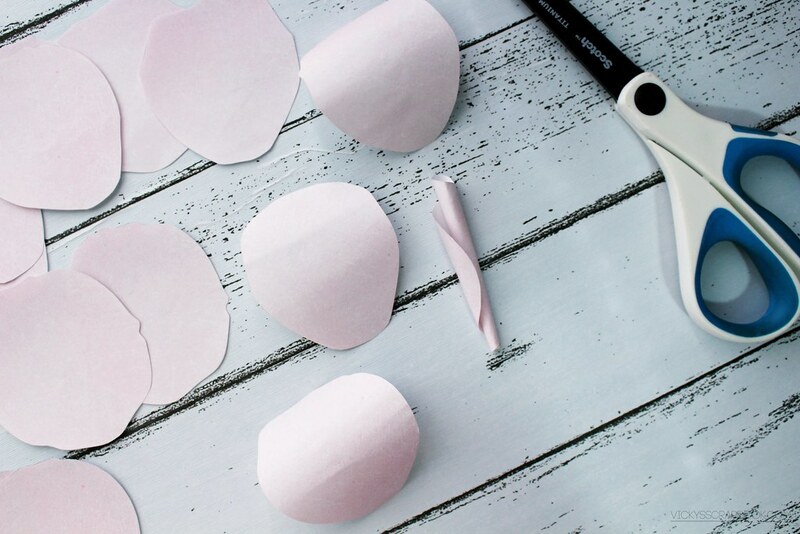 I printed out two sheets of petals and cut out all the petals. Then I rolled one of them into a tube shape (with the pink showing on the outside) and taped it into that position. 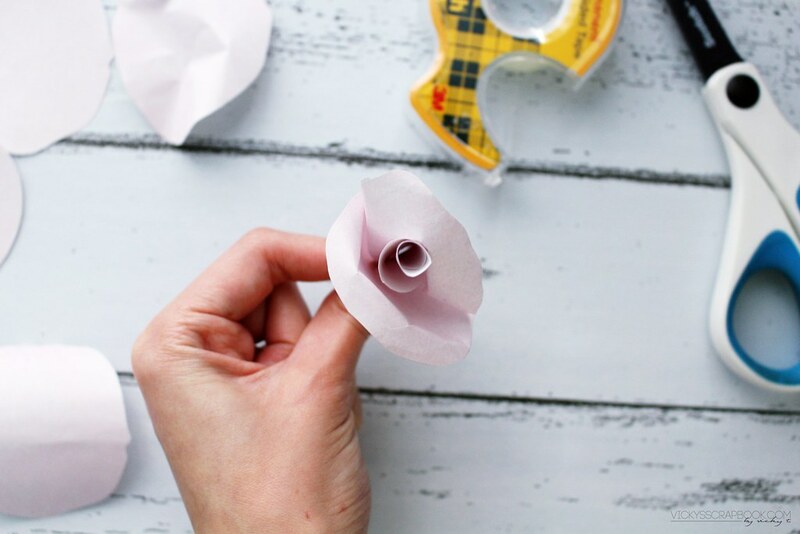 Then, curl the top of all the petals. 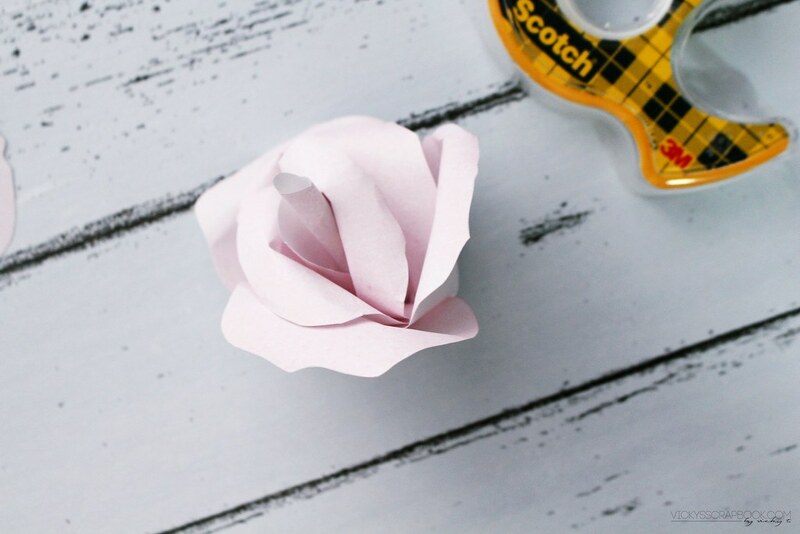 Placing a piece of double sided tape onto the bottom of the tube, I wrapped/folded two other petals around the tube. 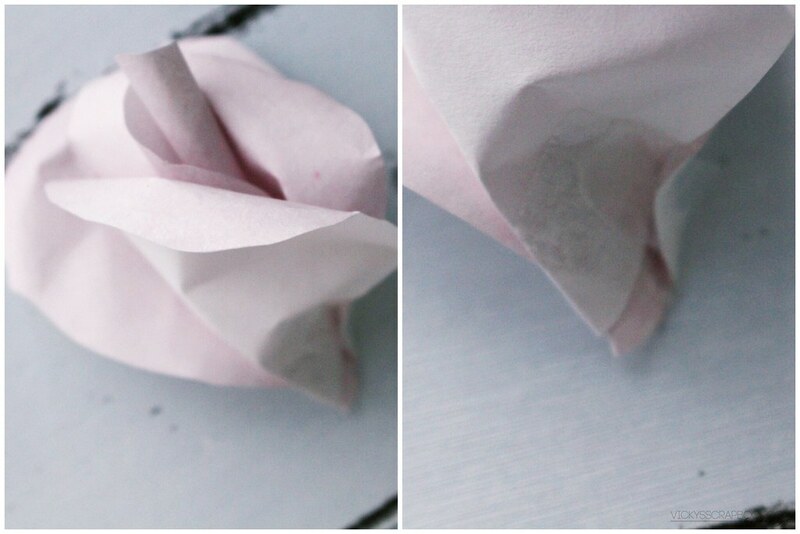 Then, placing another piece of tape at the bottom, I wrapped more petals around the previous petals. 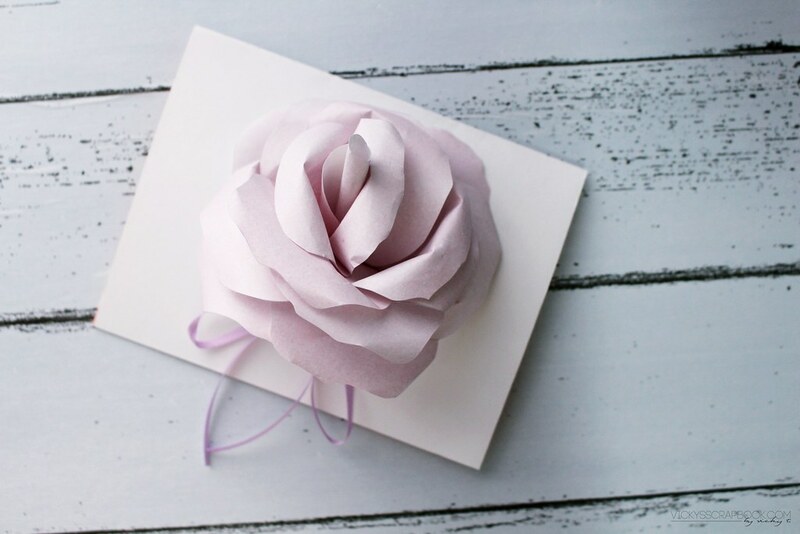 My paper rose isn’t circular at the bottom; I kept it somewhat flat and folded (as shown on the photo above) at the bottom so it’ll be easier to tape later onto the card. I continued adding more until I was satisfied with how it looked. I didn’t end up using all the petals I cut out but I was pretty happy with how it turned out. I had a half piece of card stock paper that I folded in half to be the card. On the bottom of the flower, where a typical stem would be, I taped it directly onto the card. For finishing touches I taped a small ribbon onto the bottom of the flower. I just need to add a message on the inside and it’ll be completed. 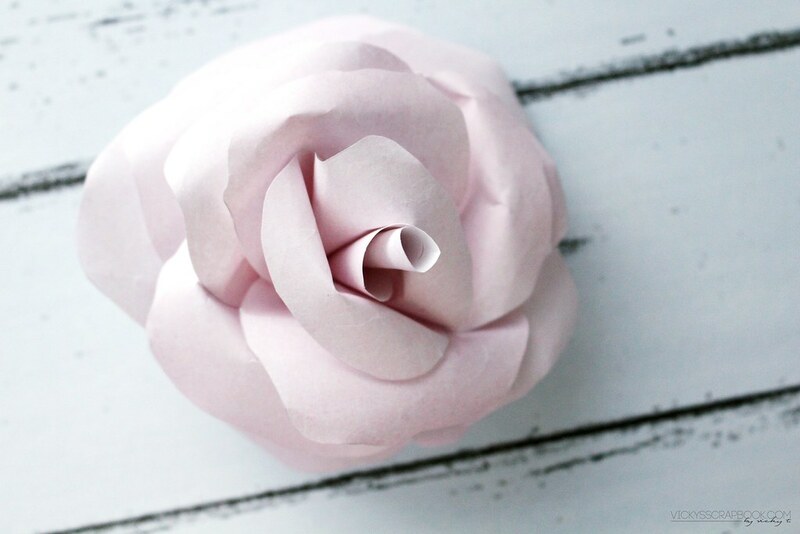 I feel like I’m a little bit obsessed with roses and have made quite a few rose themed crafts. LOL which flower are you obsessed with? A template?! 😀 Well this makes things a lot easier LOL! Hahaha I always love your creations but can never (and I mean NEVER) recreate them T-T Hehehe thank you for sharing this great Mother’s Day idea! 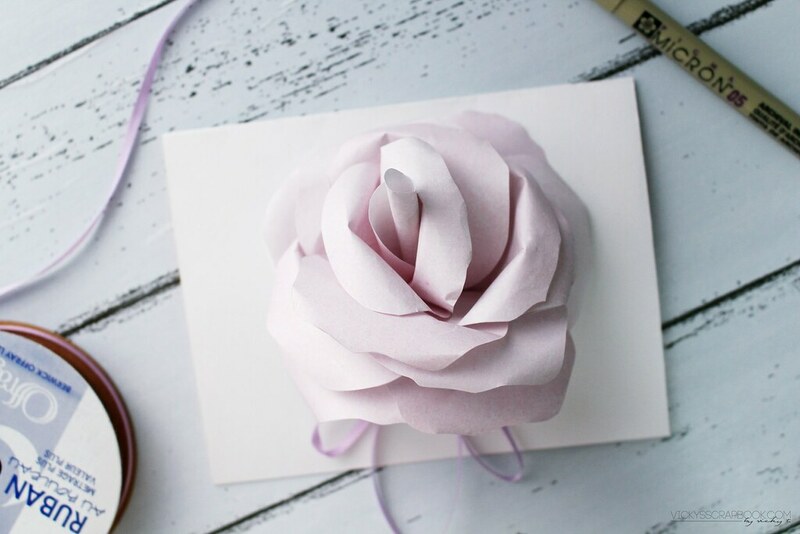 I’m obsessed with roses too, I have white ones in my house all the time, and I most of my photos happens to have roses as props 😛 Such a beautiful greeting card, thanks for sharing! This is so amazing! 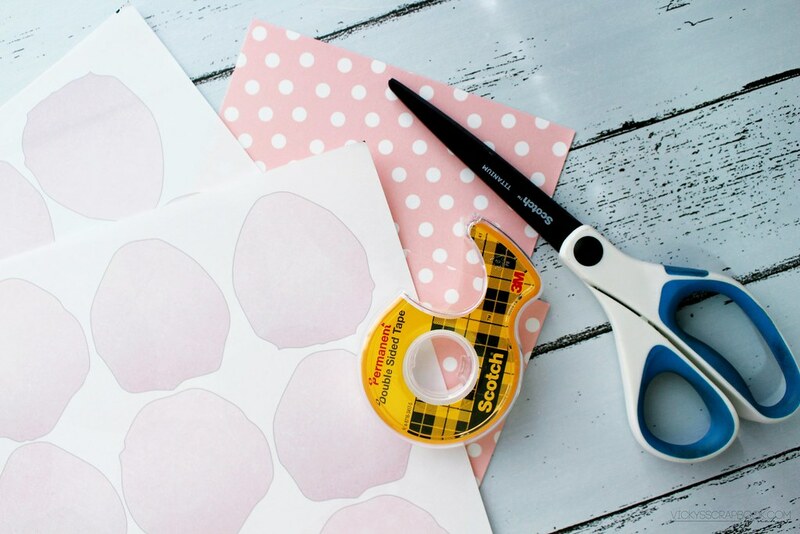 I might try to make some of these so I can create instagram photos with other products in them. Man you are so talented! Thank you Kiri. I would love to see how they turn out for you! you are such a crafty person, this is so pretty!! Wow that’s really pretty! I have a friend who would love receiving this. And it’s perfect timing for Mother’s Day!